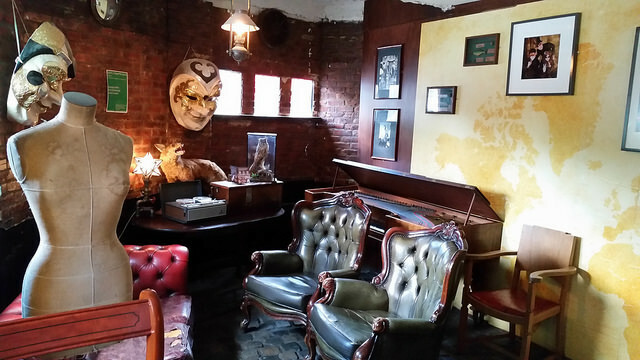 This pub was editorially chosen for inclusion by Londonist, and was also nominated by a reader. 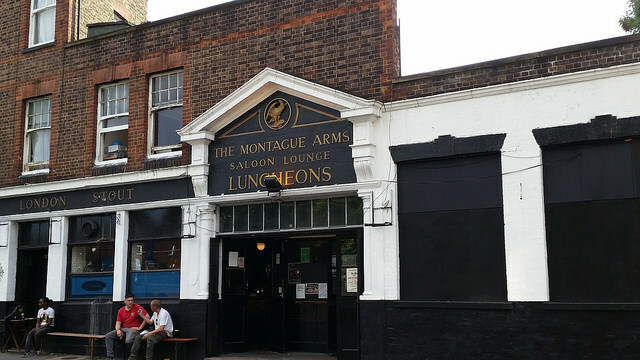 Rising like a steampunk phoenix from the ashes of closure following the death of its legendary landlord, The Montague Arms re-opened in 2014 thanks to the people behind the Brown Derby in Oval. 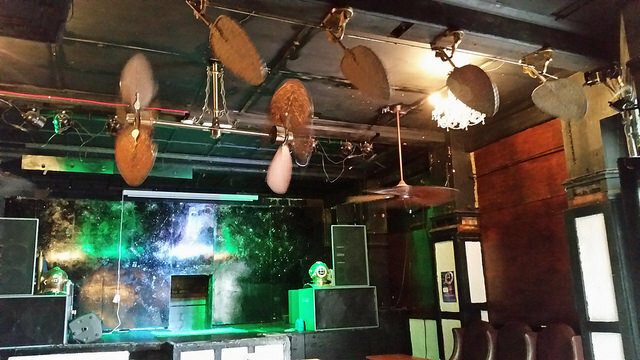 The decor is unapologetically grungey — lamps made from what look like parts of a copper brew kettle, a mannequin in a gas mask and quite a lot of taxidermy. And our companion, a semi-regular, assures us that the air-con in the live music section, rigged up from boat rudders, really works. And it looks fantastic. The beer range is wide and offers interesting choices in lagers and ales (American brews seem to be a speciality) and though it's not cheap (£4 for a pint of Sagres) you can always opt for a two-thirds pint. Since June 2015, the pub has also offered its own 'Monkey Chews' beers, available in five different styles. Food comes in the form of Pieminster pies plus a choice of sides; we recommend the unctuous mac and cheese. We're also impressed by them serving veggie gravy with the veggie pie as a matter of course, an act of thoughtfulness not found everywhere.